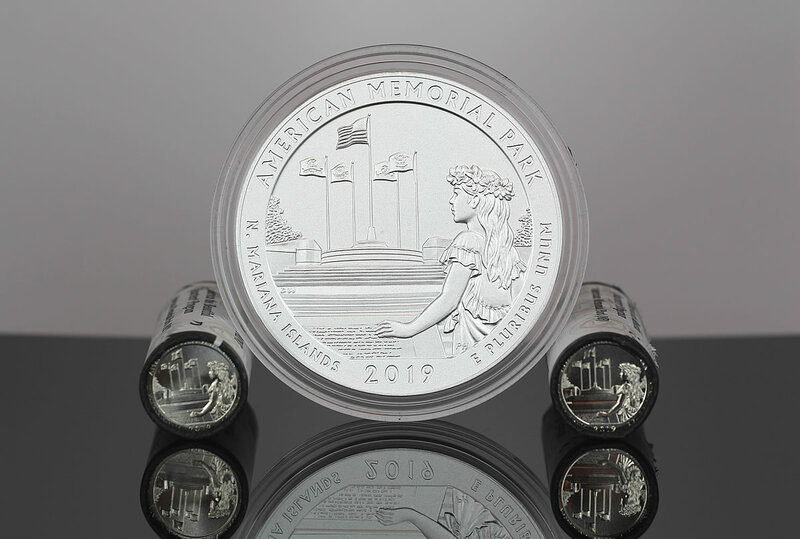 Released last week on Monday, April 1, the American Memorial Park quarter is the second of five issues for 2019. Available products include rolls and bags of quarters from Philadelphia, Denver and San Francisco with mint marks of ‘P’, ‘D’ and ‘S’. In its latest report, the U.S. Mint published sales data for 136 numismatic products. Seventy-three products outperformed their prior weekly gains against 57 previously. Not counting the newest American Memorial Park products so as to compared apples to apples, 6 products increased by more than 1,000 units against 7 in the previous report. In addition, 5 products saw their sales reduced compared to 3 previously. The 2019 Proof Set saw the largest loss, falling 1,014 to 269,817. Below are tables showing the latest sales for U.S. Mint numismatic products. The sales period covers from April1 to 7. Products with an asterisk (*) are no longer available or had no reported sales. 2018 ATB Quarter ” S ” quarter are much rare than 2019 ATB “W” , will it sell for $100 each? On eBay someone bought 2019 W for $100 , And the 2018 S are selling less than $2 each . What wrong ?